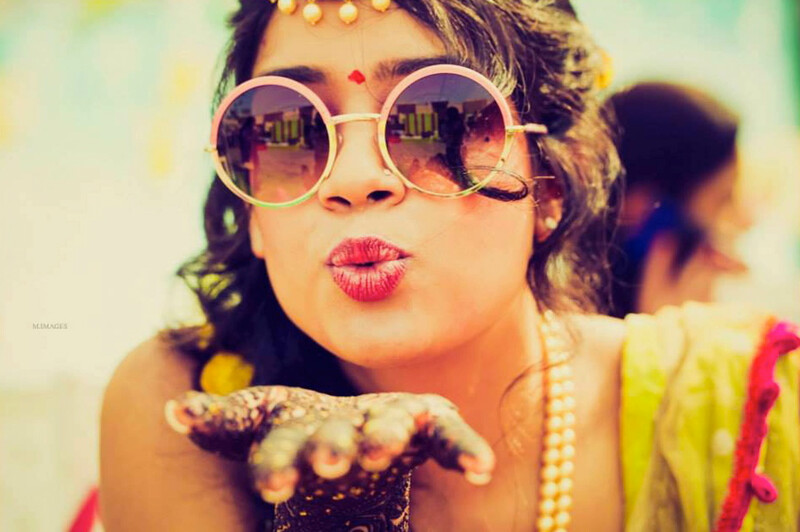 So you’re a newly engaged maharani and you want to shout it out to the world. Why not? Your wedding is quite possibly the most joyous and happiest of occasions of your life and there’s no harm in using social media to break the news! In today’s digital age, the announcement of an engagement or wedding is typically celebrated with a social media post via Facebook, Snapchat or Instagram. Social media has influenced all of us in some way or another, but for the wedding industry in particular there is no limit. Brides and grooms are documenting everything from their pre-wedding festivities right through to the honeymoon. Each and every moment we celebrate as a bride to be is exciting, and it’s fair and well to share details, but there are rules to follow. Let us spare a thought for those couples who don’t share their private lives on social media. 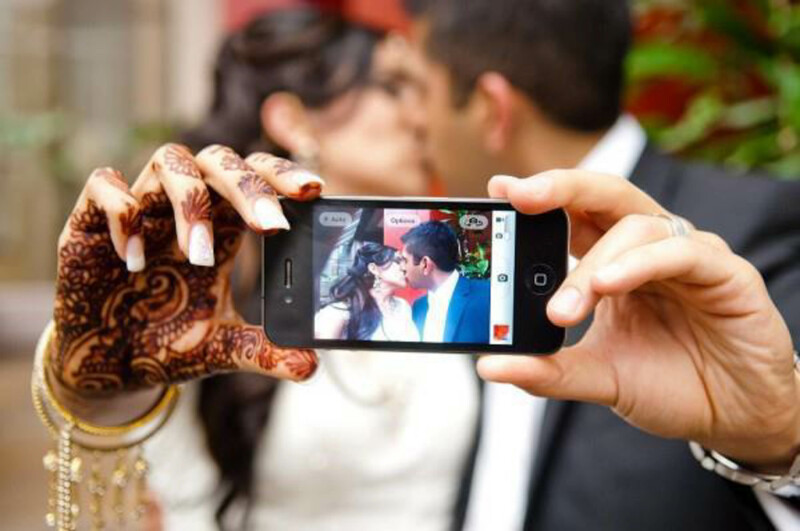 So for all you maharani brides and wedding guests we’re bringing you our top 5 social media wedding etiquette tips! Admit it. There is a limit as to how much you should be sharing on social media about your ‘bride to be’ status or the fact that you are planning a wedding. It’s okay to vent or post mushy images of your partner and yourself, but not to the extent where you come off as being super irritating. Share positive thoughts and your sense of excitement, but limit your social media posting to once or even twice a week. If you don’t want to overload your social media feed with loads of details that are going to bore your friends and family to death well before the wedding, then why not create a wedding website? There are plenty of free website building tools out there now with user-friendly templates to select from. Your friends and family can keep tabs of how things are travelling and you can even include some fun and useful details about the wedding itself, such as the venue, wedding registry or even a wedding day countdown clock. When the time arrives to post out invitations, you can include a link to the personal website along with a unique wedding day hashtag for your guests to use during the festivities. Hashtags are a fun way for guests to search for images on services such as Instagram. Sharing is caring, but it’s always better to ask. How would you feel it if your bestie, bridesmaid or groomsmen shared the most unflattering photograph of you from your wedding? As a guest, you should have some sense not to post such photos or videos on social media. After the wedding festivities are over, ask your guests to share their photographs via email or secure photo sharing platforms. You can collate the best ones and share it via a private Facebook album, Dropbox or Google Drive or simply via email. As difficult as it may sound, this could be the solution to all your woes. Inform all guests prior to the wedding via your wedding website, the invitations, program or create some beautiful signage to let them know that your wedding is officially unplugged and off the wire. 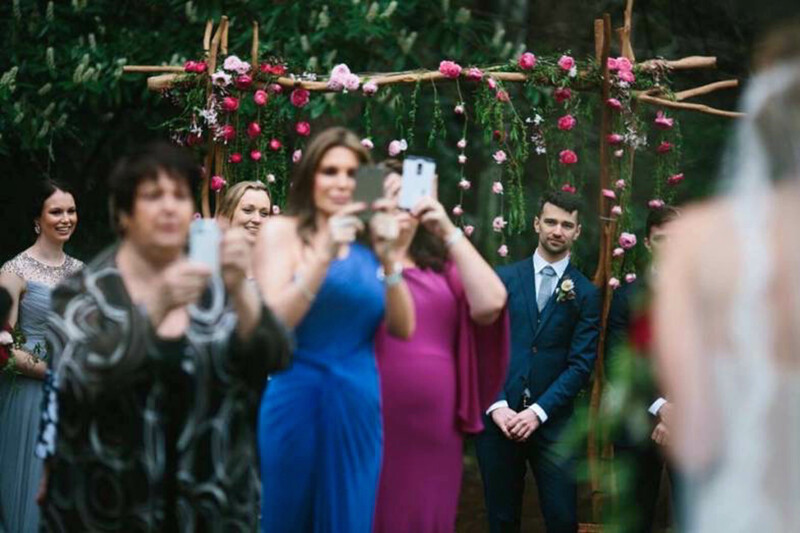 Your MC, celebrant or a member of the bridal party can easily make an announcement before the wedding and reception begins. 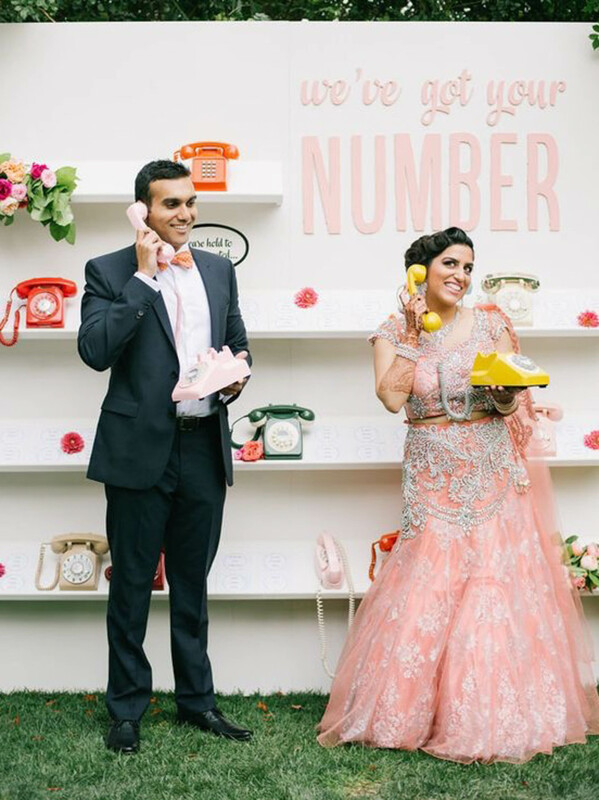 You could event take it one step further and set up a check in station or cloakroom where guests can leave their phones before entering the ceremony. If you’re as Instagram obsessed as we are, then you might want to consider having a photo booth. Think outside the ‘traditional box’ and choose an Insta-worthy backdrop such as vintage couches, flowers or something that reflects your personality. Be polite and respectful. The last thing you want on your wedding day is for someone to create a scene. Remember that a wedding will be over in a flash, don’t waste your precious moments capturing mobile phone images of your jewellery, outfits, shoes, guests etc. As for your wedding guests, well the same social media rules apply. A wedding photographer is hired to do these jobs for you so that you can enjoy the moments. And guess what? His camera is better than yours! You are sharing your wedding day with some of the most important people in your lives. For those who couldn’t attend the festivities, they can just wait for the DVD or official photographs. Hello, #latergrams! In a world made up of hashtags and live video streaming networks, it’s easy to get caught up in the excitement of a wedding and lose sight of the bigger picture. Cherish the moments and celebrate with your best friends and loved ones. After all, a wedding should be a party! Do you have any hard and fast social media wedding etiquette tips to share or perhaps you might have a story of your own? Please share in the comments below. *Images from top, Morvi Images, Unsplash, Getty Images, Jessica Kettle Photography via Green Wedding Shoes and Thomas Stewart.